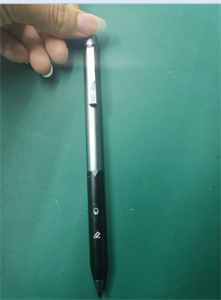 CE FC Certified: N-Trig‘s Solid Stylus Pen Works with Surface Pro3/4/ Pro2017/Laptop/Book Series /Studio/Surface Go. Please Note: It is NOT Compatible with Surface Pro1, Pro2 and RT. Please check the compatible model list in product description before purchase. Our Pen has 1024 – 4096 Levels of Pressure Sensitivity Pressure Sensitivity sketch, write, and erase naturally with no perceptible lag between the Pen tip and your line — just like you write by a real pen.